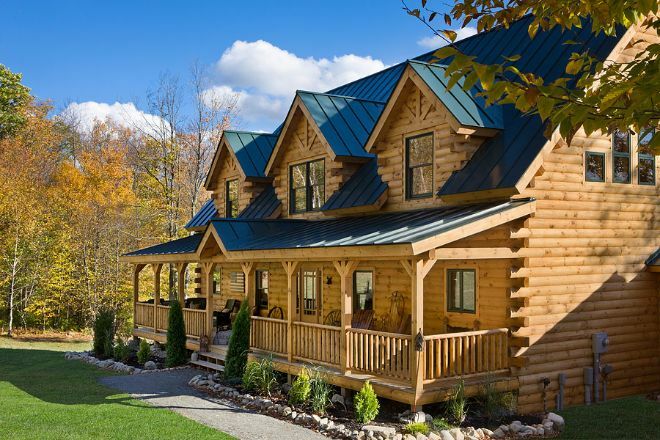 Today we are going to take a tour through Athens by Coventry Log Homes. 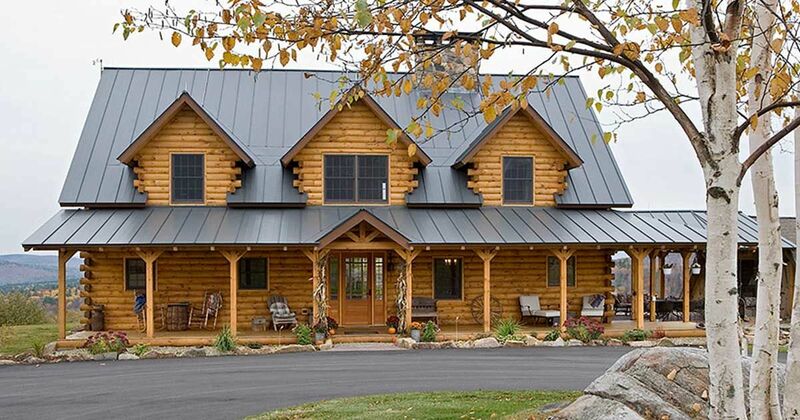 This attractive present-day log home has a wealth of design features which log home aficionados will love. This large home has two bedrooms, a loft, and two-and-one-half bathrooms over 2,640 square feet (245.3 square meters). 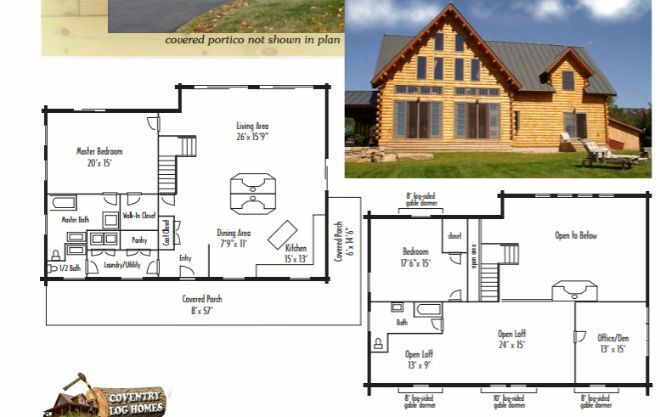 Step inside to discover a floor plan which boasts all the features we love in cutting-edge log home design and construction. 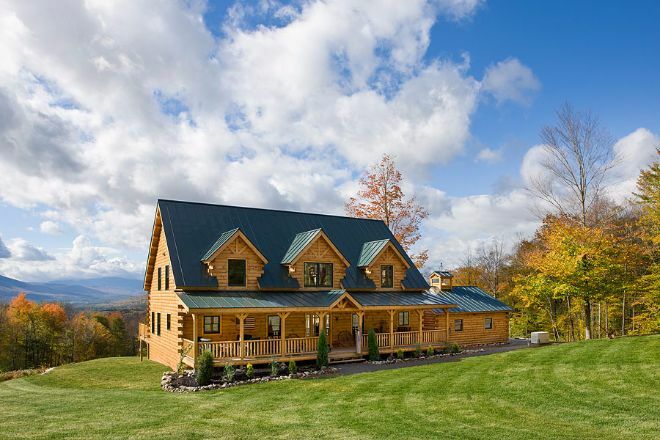 The exterior of the Athens model is a sight to behold. 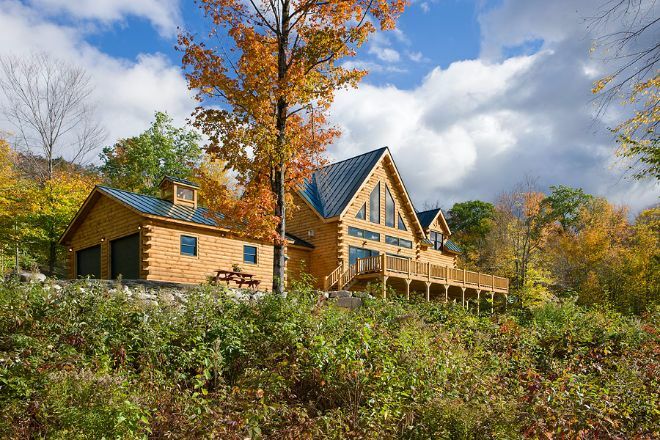 The use of a lighter tone of wood gives this building an attractive curbside appeal, whilst the three gabled dormers in the roof will add an injection of light throughout the floor plan. Perfect! Taking a look at the rear of Athens, we see an abundance of windows and an expansive rear deck area. 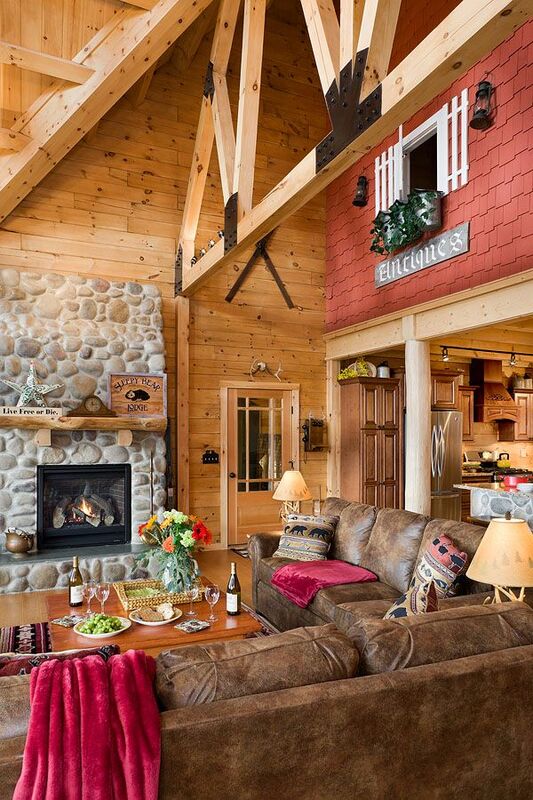 This home could be positioned to perfectly capture your ideal panorama, and what a space to enjoy it from! The entrance to Athens has a deep porch which runs along the entire front of the house. 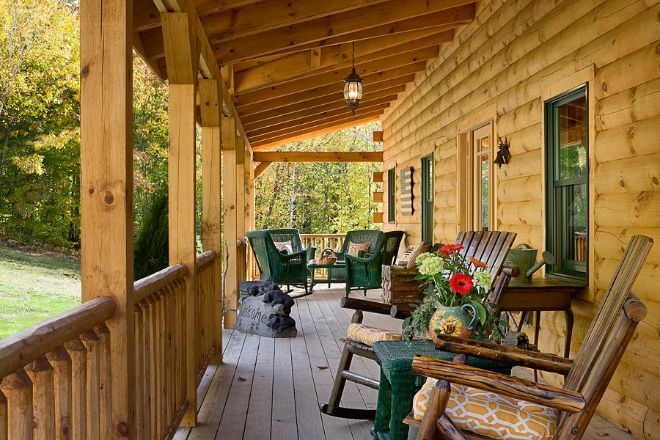 Every log cabin should have a porch for quietly enjoying the natural surroundings. Athens has large porches to the front and to the rear, meaning you always have a place to sit and enjoy the day's light. At the rear of the house is the large great room. This light-filled space benefits from a soaring cathedral ceiling and the abundance of windows we noticed when looking from outside. 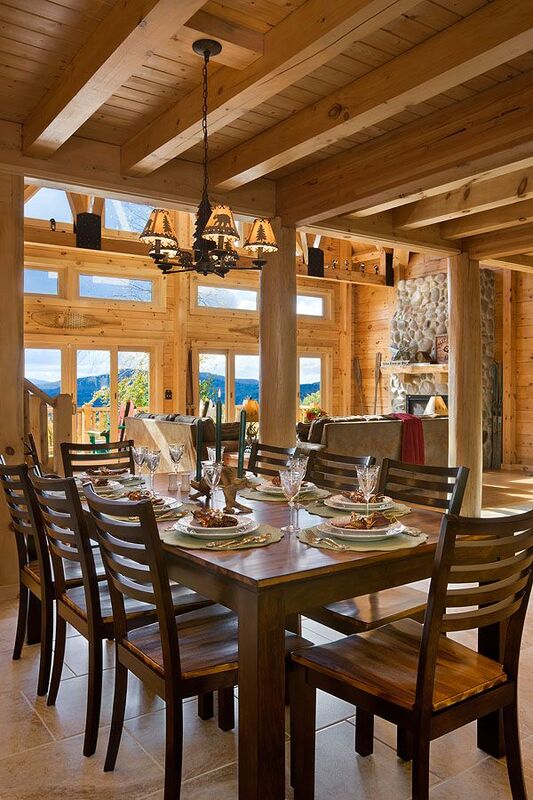 The rustic furniture perfectly complements this wooden house, with attractive and robust features throughout. The gorgeous stone fireplace will become the focal point of this social space at night, becoming a cozy space to enjoy the peaceful evenings. The expansive kitchen has everything a modern American home requires. 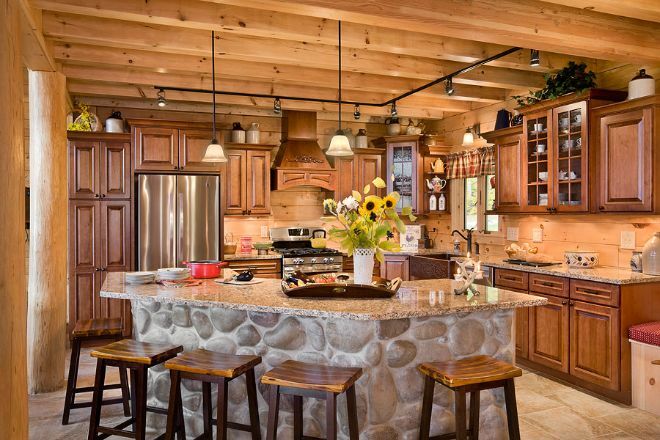 Finished with high-quality appliances and eye-catching cabinetry, it is the perfect place to prepare a meal in a room which maintains the "country retreat" feel. The large stone island acts to give a psychological barrier to the room, despite the open plan of the main living area. The main living area in Athens is completed with a designated dining area which benefits from the light from the great room windows. This open plan living area is a sociable place to be and is the heartbeat of the house. 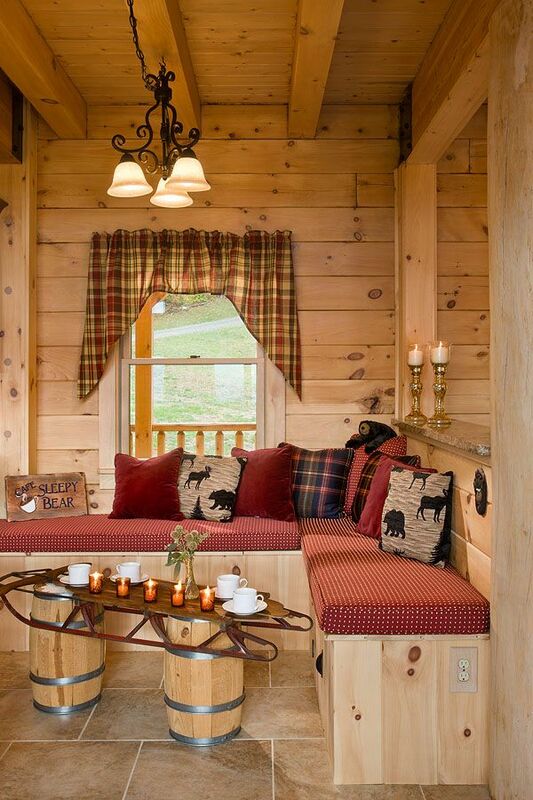 It even includes a cozy sleeping nook for those who struggle with the pace of the outdoors life! The master bedroom is located on the ground floor of Athens and is a large room which benefits from the spacious floor plan. 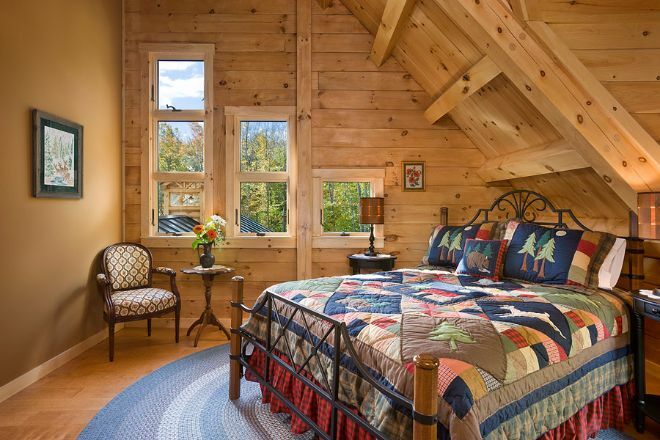 The lower ceiling makes it an easier room to heat than the high-ceiling main room and is a cozy space to retire at night. 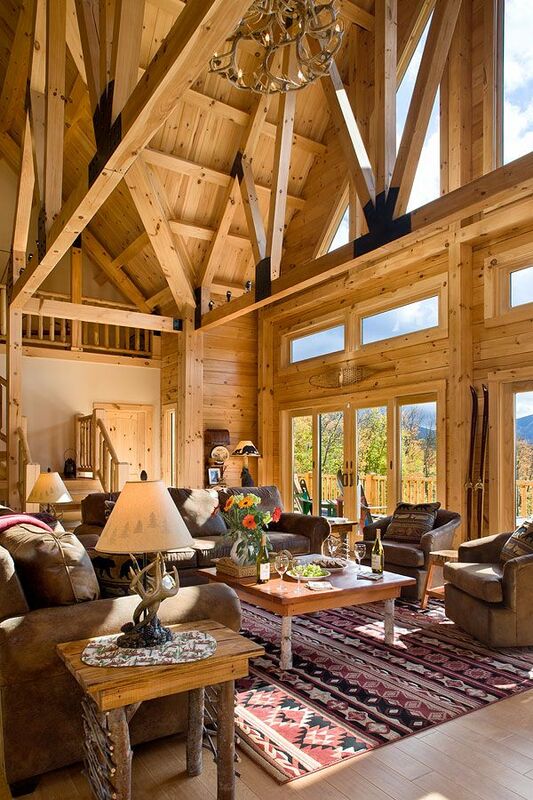 We love the sturdy furniture which often completes a log cabin in ways which would look odd in a modern suburban home. 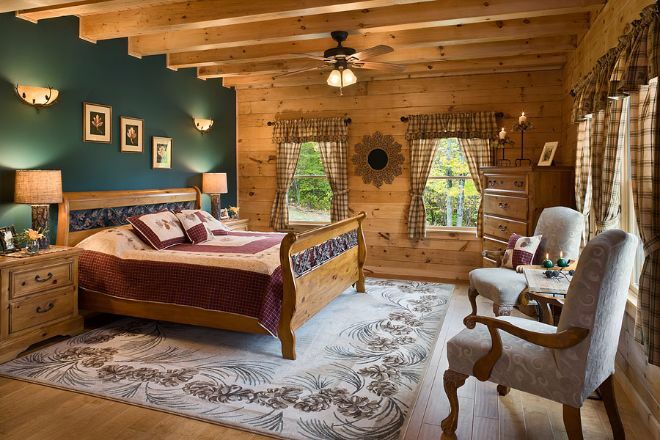 The master bedroom benefits from direct access to the master bathroom. 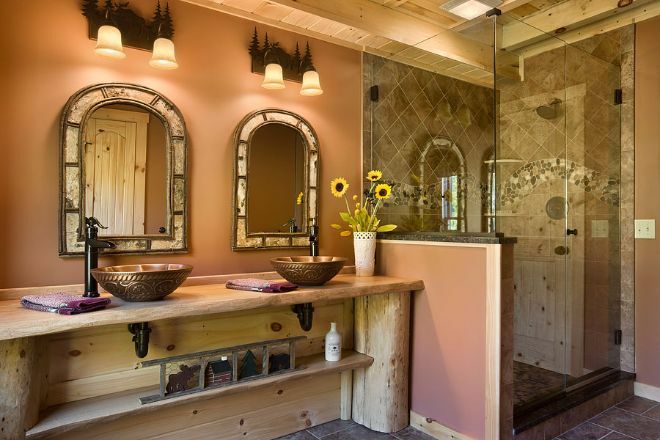 You may have noticed the quality of finishes throughout this house - and the bathroom does not disappoint - with gorgeous fixtures and fittings which are chic yet maintain the rustic nature of the home. Athens has a large loft space in the cathedral ceiling, which is accessed from a winding staircase in the living room. The loft is spacious enough to house a second sitting area and even a small office - perfect for those who require a little quiet time. Athens' second bedroom is located in the upper-level of the floor plan. It is not a cramped space as it benefits from the high ceiling, and the clever use of a few small windows easily light this room up. What a wonderful place to wake up! The second bathroom in Athens - located on the second floor - is another attractive room which benefits from high-quality fixtures and fittings. 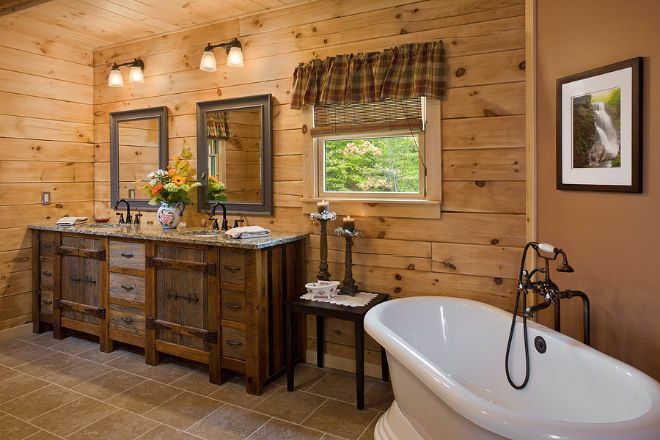 The free-standing bathtub with simple taps is beautifully antiquated. The rear deck benefits from direct access to the living room, creating a great outdoors space attached to the main body of the house. 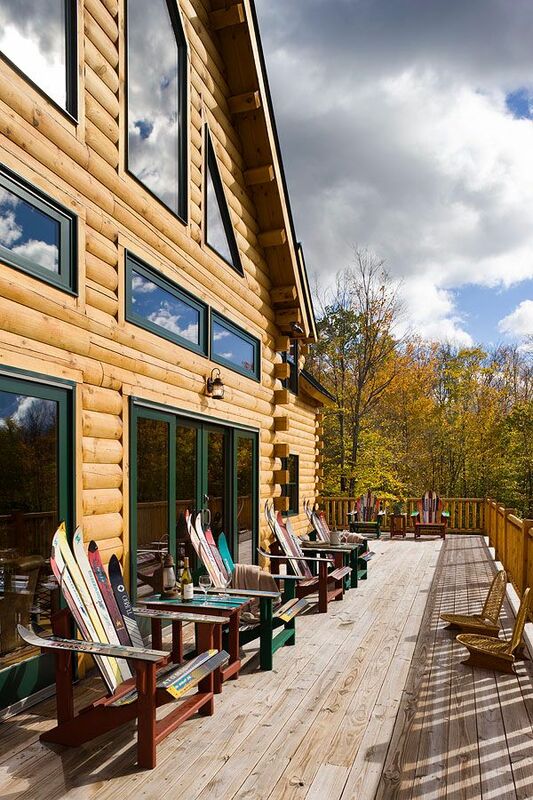 In the pictured example, Athens is presented as the perfect ski lodge. How would you utilize the space? 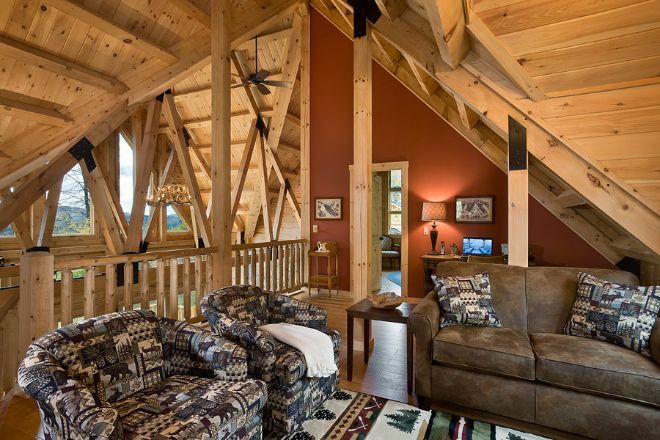 Athens is a great example of a modern log home. Do you agree? LIKE and SHARE on Facebook with your friends.